When we attend prayer gatherings for the Feast Day of Our Lady of Guadalupe (December 12) or go to Las Posadas at friends’ homes in South Texas, we contribute traditional Mexican desserts for the occasion. 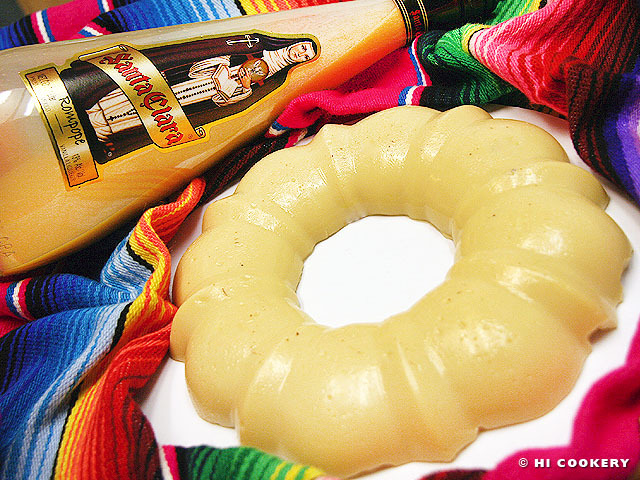 Mexican wedding cookies or flan are popular requests but sometimes we bring another seasonal sweet, such as gelatina de rompope, a Mexican-style gelatin made of spiked egg nog. Rompope is believed to have originated in the convents of St. Claire (Santa Clara) in the city of Puebla, Mexico, during the 17th century. The word is derived from “rum,” which is the alcoholic ingredient found in Mexican egg nog. Get into the holiday “spirit” with gelatina de rompope on National Egg Nog Day, which is also the last day of Las Posadas and Christmas Eve. ¡Salud! In a saucepan, boil the milk over medium heat. 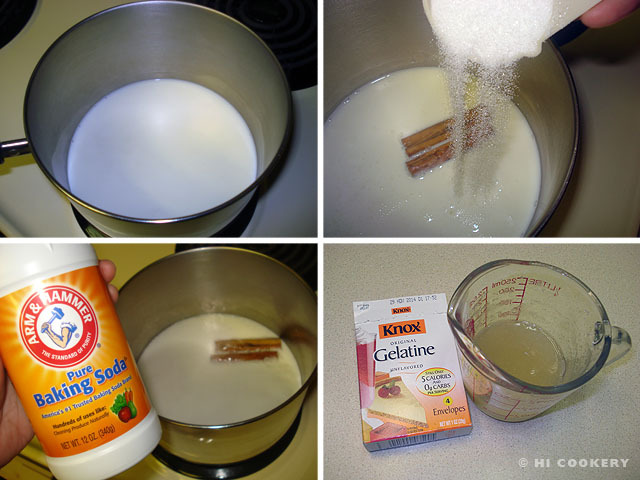 Remove from the stovetop and mix in the sugar, cinnamon sticks and baking soda. Dissolve the gelatin in cold water. Stir into the milk mixture until well blended. Add the rompope. Set aside to cool slightly. Discard the cinnamon sticks. 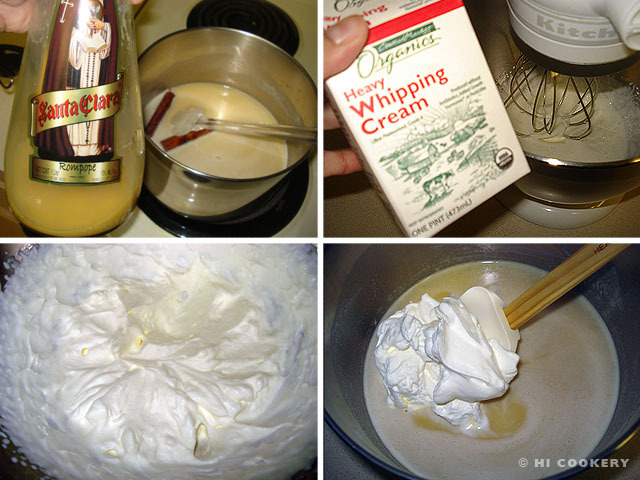 In a large mixing bowl, beat the whipping cream until stiff peaks form. Fold into the milk mixture. 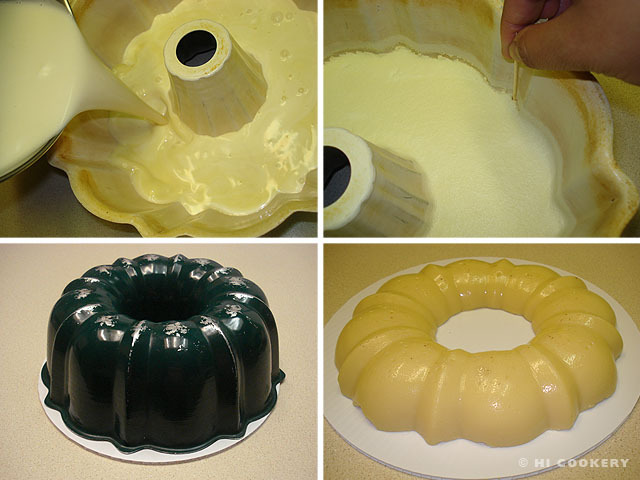 Pour into a lightly-greased gelatin mold (all we had was a bundt pan). Refrigerate for at least 3 hours or until firm. Gently loosen the sides with a tootpick. Carefully invert onto a plate. Return to the refrigerator until ready to slice and serve. The gelatin may be poured into individual ramekins or dessert cups. Fresh seasonal fruits/berries may be added to the center of the gelatin. Feliz Navidad to all our blog readers from us at HI Cookery!